The Card Grotto: When In Doubt ... CASE! When In Doubt ... CASE! A few months ago I was lost for inspiration for a card for my Grandma's birthday, I wanted something pretty but just wasn't sure, then I remembered seeing this amazing card by Stephanie Wincott and of course had to CASE it. I changed it around a little but as you can see kept it pretty close to the original. 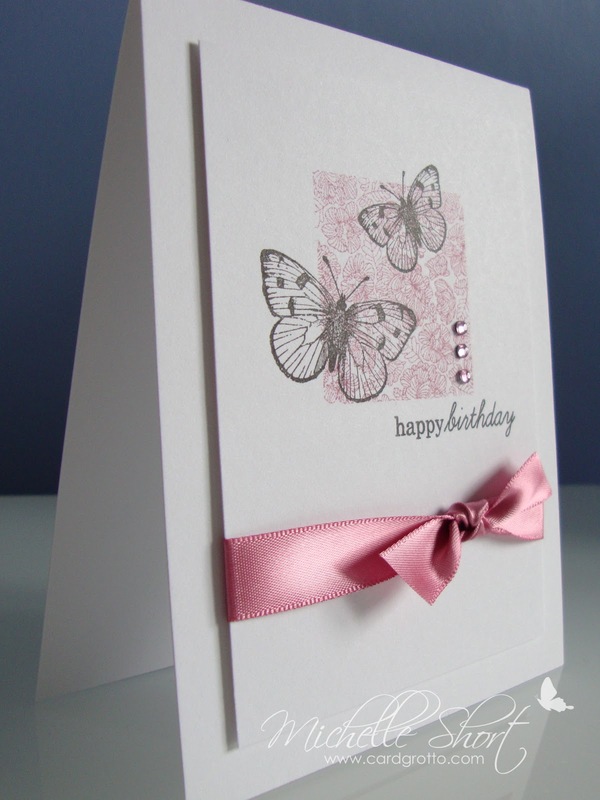 Stunning card Michelle. I'm sure your Grandmother was delighted to receive it. 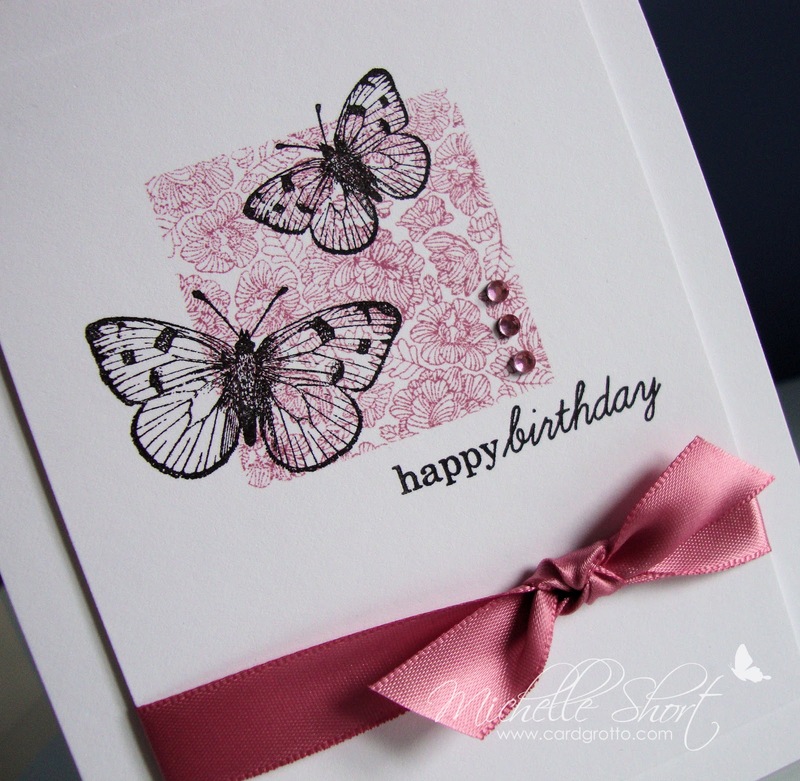 Beautiful card Michelle, I like the butterflies and the design. Gorgeous card Michelle, I know you CASE'd it but it's still a card with a touch of class and I hopped over to see Stephanie's, her's is lovely too! 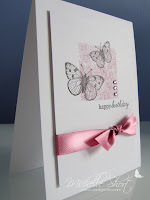 Wow thats a lovely card!! 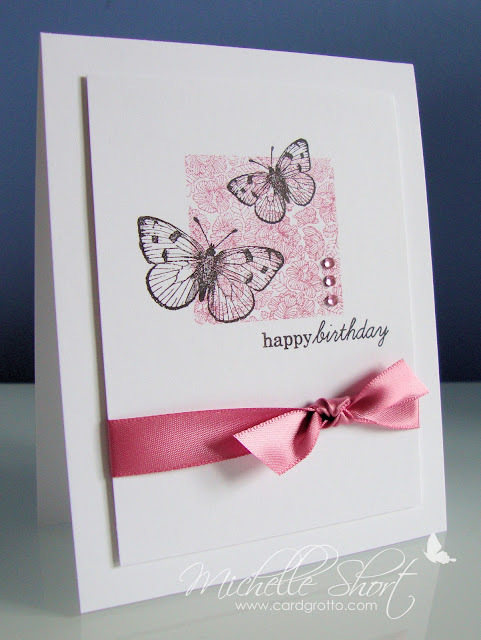 Really pretty and elegant card Michelle. Nice to see you back in 'blogland'.